SyFy Channel has renewed its science fiction series The Expanse for a third season and its time travel series 12 Monkeys for a fourth–and final–season. Both renewals are good news for fans of SyFy channel’s genre shows, who sometimes endure long, anxious waits for renewals of their favorite series. 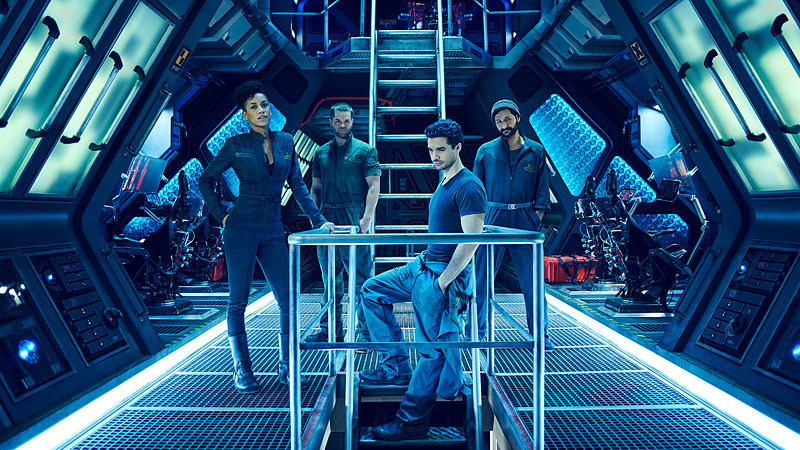 The Expanse season 1 premiered at the end of 2015, and season 2, which started in February 2017, is currently under way. 12 Monkeys, which takes its premise from the movie of the same name, debuted in January 2015, and ran its season 2 in summer 2016. SyFy is taking an unconventional approach to air season 3, showing all 10 episodes over three nights, May 19-21, 2017. 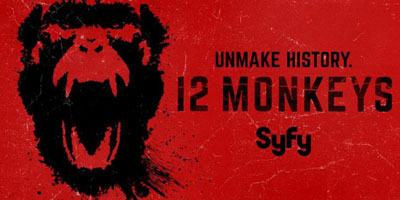 With the rise in popularity of original series on streaming outlets such as Netflix and Amazon, which make entire seasons available all on the same day, it could be that SyFy channel is looking to tempt viewers into “binge-watching.” Normally 12 Monkeys, like the rest of SyFy’s serial tv line-up, airs one episode a week. If this new format of airing is successful, the network might try it again with other shows. However The Expanse or 12 Monkeys airs, whatever platform you use, both have proven themselves some of the best science fiction TV in recent history. Based on the books by James S. A. Corey, The Expanse’s scale encompasses space travel, politics, interplanetary and class-wars, science, life on space stations, space marines, pilots, scientists, and detectives, with a diverse, compelling cast of characters. It also has some jaw-dropping visuals and terrific world-building. 12 Monkeys starts with the basic premise of the movie, then ravels it out into a wonderfully mind-boggling time-travel epic. Its decade range continues to grow as the show goes on, along with its emotional stakes and ethical questions. 12 Monkeys focuses on sev eral strong relationships of different kinds as its main pivot points, with time itself as another kind of wild card presence on the show. Both shows are also well-grounded in science, while taking some storytelling liberties. When it snows blood on The Expanse (and that isn’t even the most astonishing visual they’ve had, although it is a stand-out), the showrunners and FX supervisor think through how that could actually happen (warning: a few spoilers for season 2 at the link). On 12 Monkeys, time-travel becomes so intricate, it often doubles back on itself, crossing and re-crossing events we’ve already seen, then going even farther back in time, and then even farther forward. Every decision has a ripple effect that goes both backwards and forwards and the showrunners manage to make sure it all makes sense. “Time travel isn’t magic. It has to have monumental weight and consequence,” says showrunner Terry Matalas. 12 Monkeys takes on implications of trying to save both the future and the past, and how they can affect each other; The Expanse depicts humanity’s struggle to survive one day to the next when, despite massive technological advancements, safety, a home base, and even water and oxygen are luxury items. 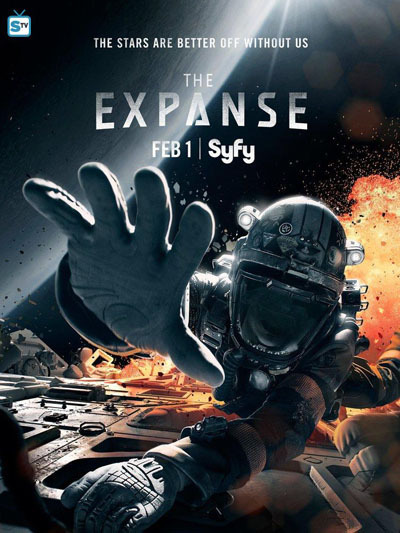 The Expanse currently airs Wednesday nights on the SyFy Channel, 10 pm EST. (If you’re not already, make sure you check out our weekly episode reviews.) 12 Monkeys returns May 19, 2017.